to the principles of Cikitsā, Rakṣaṇa and Śikṣaṇa Krama. 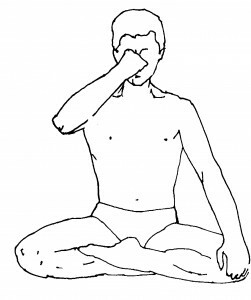 the Kumbhaka with long holds both after the inhale and the exhale. by our practice abilities and consistency and potential within our life situation. 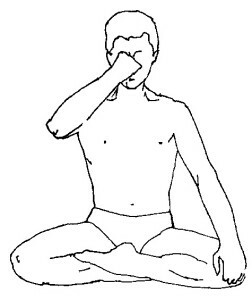 our skilful efforts with all four components of the breath in Āsana. For example can we maintain 8.8.8.8. in Parśva Uttānāsana or 12.6.18.12 in Mahāmudrā? or at best Rakṣaṇa or constitutional, rather than Śikṣaṇa and developmental. Nāḍī Śodhana where the crown was 12 breaths at 12.12.12.12.
within a Vinyāsa Krama leading to a crown ratio of 1.1.1.1.
each set at 12 seconds in a crown of 12.12.12.12. for 12 breaths. One aspect of Yoga Sādhana is that it is ultimately about a maturing of our relationship with all aspects of on the mat Yoga practice, rather than just that of our Āsana practice. This is especially important as these various aspects sit within a hierarchical spiral with one level being the foundation, technical reference point, verification and ladder for the next. We only have to study and reflect on the Yoga Sūtra to appreciate this relationship dynamic. Yet it increasingly appears that for many today the word ‘advancing’ in terms of on the mat practice means tackling increasingly complex Āsana or Āsana choreographies to the neglect or even detriment of what are seen as the levels that Āsana aims to prepare us to engage in. Krishnamacharya understood this relationship dynamic and offered many teachings, tools and practices to help link the student to and in their upward ascent of the practice spiral. It will be a misunderstanding and misrepresentation if he is remembered only as the ‘father’ of modern Āsana. One of the joyful experiences that can emerge within my morning practice is the feeling that arises on arriving at my Prāṇāyāma seat and taking that first breath within an atmosphere of having more than enough time in hand left to engage with this aspect of my on the mat Sādhana that day. The sense of Sukha is palpable and offers a spaciousness that facilitates the breath both relaxing and entering into the spirit of, as Krishnamacharya spoke of in terms of Prāṇāyāma, Prayatna Śaithilya and Ananta Samāpatti. This feeling in itself both automatically lengthens and deepens the flow of the breath without any conscious effort on my part. A precious gift to start my days journey into exploring this vital area of practice. A constant reminder, if not rejoinder, to not forget to leave more than enough time for Prāṇāyāma, rather than it being the token twiddle at the end of the practice, or that which is oft easily at best compromised or at worst, forgotten within the seduction of the bodily experiences. Cale Vāte Calaṃ Cittam – As is the Breath so is the Psyche……. As is the breath so is the psyche. 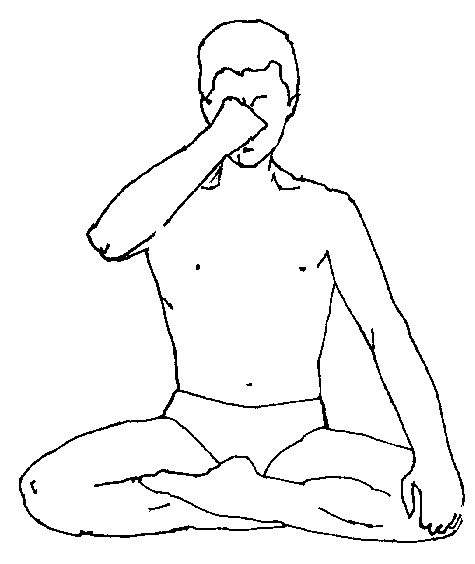 The concept according to my teacher, oft quoted by Krishnamacharya, appears in the second verse of Chapter Two in the Haṭha Yoga Pradīpikā. It follows the opening verse which introduces Prāṇāyāma albeit with caveats around certain prerequisites. 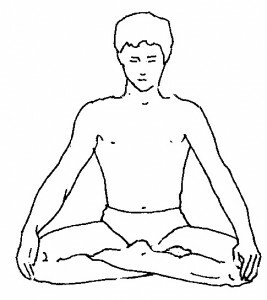 Firstly establish an Āsana as a firm seat, not as simple as it seems given the predilection for action Āsana contrasting a difficulty in remaining seated, upright and still for half an hour.